An increasing number of people are comparing insurance online, though the number of people comparing life insurance prices is increasing at a slower rate than car insurance, home insurance or pet insurance. In part this is due to the fact that many people don’t consider life insurance until they’re older, whilst a majority of users of insurance comparison sites are in their 20s and 30s. Insurance comparison sites are slowly being accepted by older insurance purchasers, including middle-aged adults and ‘silver surfers’, who are of retirement age. As more and more people of all ages learn to use the internet for a wider range of purchases, the figures for online life insurance comparison are slowly catching up. What makes online insurance comparison sites so popular? It’s not just the fact that they’re a fast, efficient way to view insurance prices quickly. Though low prices are a driving factor, most people also see the value in really comparing their life insurance quotes. They don’t just think about the annual or monthly premiums – they also appreciate that quotes come with detailed information about exactly what a policy offers, and the exact terms and conditions of cover. People using online life insurance comparison services have time to view the details of a policy without committing to a purchase, which is often easier than dealing with sales talk on the phone. As long as you’ve been honest about the personal information provided when applying for quotes, and as long as you don’t have any significant medical conditions or lifestyle choices that put you at risk, the quotes that you receive are accurate representations of the price you’ll pay. When you purchase life insurance, you’ll already know the premium you’ll be paying and the amount of cover that premium is paying for. An online life insurance comparison saves time and money, and is one of the quickest and easiest ways of finding the best life insurance prices and the policies with the most suitable features. Remember that you’re not just looking for cheap life insurance, but for a quote that covers everything you need including, if required, terminal illness cover. Filling in a quote application form can take as little as fifteen minutes, and for your time you’ll receive quotes from various life insurance providers instead of having to apply for quotes with each one individually. Even if you choose life insurance online, you’ll have time to read through your policy terms and conditions with a ‘cooling off period’. You’re not rushed into purchasing life insurance, and can cancel if you’re not happy with the details that you receive by email or in the post. Many online life insurance comparison sites charge a commission; often hidden in the prices you’re quoted. 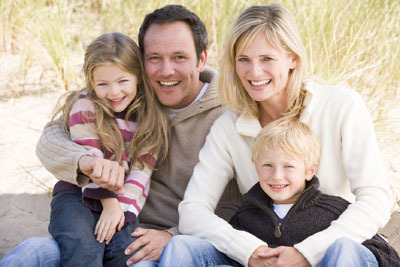 You could save money by buying life insurance through Best Price Financial Services, with no commission to pay. Instead of having hidden commission added to your life insurance quote, you’ll pay a clear and simple set fee and will receive the cheapest quotes for the best life insurance products from major UK providers.